Think Your Election Data is Safe? The Election Commission of India recently declined Google’s offer for free online voter registration, search and more. Why? A panel of cybersecurity experts were concerned about security implications and providing Google with access to a treasure trove of data on Indian citizens. So what do Google and voters in India have to do with your election and members? Two words: Data and security. How will you secure our member database? Once member data is out of your hands, what happens to it? First, find out about the physical location of where your data will be stored and how that location is protected. Don’t settle for anything less than limited access by credentialed experts, hard pass code policies, firewalls, active monitoring processes and Secure Sockets Layer (SSL)/Transport Layer Security (TLS) encryption. Get a demonstration of how your database will be protected against hackers or intrusions, breaches of confidentiality and loss. And make sure the protection process is documented for full tracing history and accountability. How will you secure and verify the accuracy of our physical documents? Checks and balances – these guarantee the accuracy and integrity of your final and certified election results. Make sure you’re comfortable with procedures, accountability and chain-of-custody policies that provide accurate results, but are also fully defensible in the event there are questions after your election. Locked vaults for document storage, check-ins and daily delivered counts should be offered by credentialed staff with limited access. 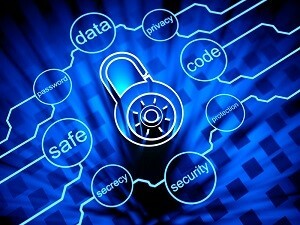 How will your digital security infrastructure protect us? Don’t wait until election results are delivered to find out what happens to your data. Ensure your partner can trace all paths your data will take. Ask who has access to it, what can be done to protect your documents every step of the way and where the documents will reside. The utilization of an enterprise data center provides the backup and redundancy necessary to ensure maximum uptime of any online election components you may have and the safety of your election data. We like to point out the importance of election data security not only because it should be a vital part of every election process, but also because it is a competitive advantage for our organization. Contact us any time with questions about how to keep your election data secure – our dedicated security staff is happy to help.